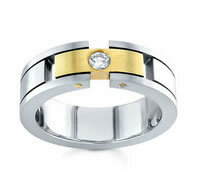 Men's diamond wedding bands are available in platinum, white gold or yellow gold at Novori. 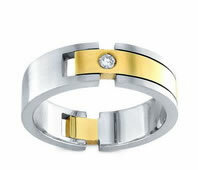 Choose from our classic and contemporary ring styles. 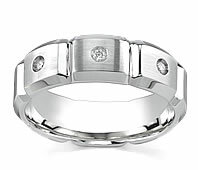 Diamonds will enhance any mans ring and make a unique and personal statement. 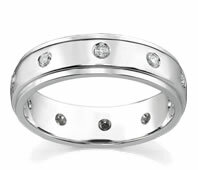 We can also custom make a wedding band just for you. 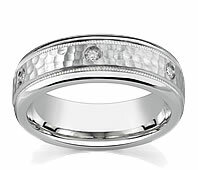 Mens wedding bands and engagement rings are becoming more popular with grooms the world over. 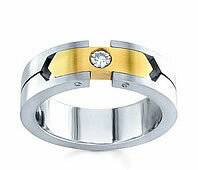 The modern man of taste and style now realizes that he can wear a unique piece of diamond jewelry of his own. 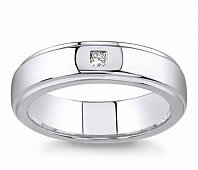 At Novori, we strive to provide classy men’s diamond wedding bands that any groom would be proud to wear. 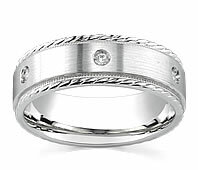 Diamond rings and bands are no longer just for brides but are a symbol of love for the groom to wear as well. 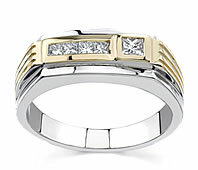 Browse our selection to find the perfect ring for you or your husband to be. 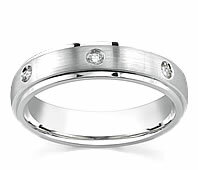 Each of our mens diamond bands is carefully created from the highest quality diamonds and metals. We are confident that you will love our selection. 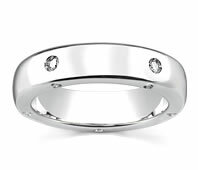 To ensure your satisfaction, we can also create a custom ring to your exact specifications. 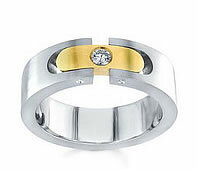 Create a special ring that will will be cherished for a lifetime.